Though they may look like nothing more than big balls of fur, Pekingese dogs are affectionate and friendly companion pets. These little dogs belong to the toy group of dogs and they grow to no more than 14 pounds, on average. Even so, they pack a lot of pride and personality into their small bodies. The Pekingese breed comes from Chinese descent and he was named for the city of Peking. Though the breed dates all the way back to the Tang dynasty in 8th century China, the Pekingese remains a popular breed today. If you want your Pekingese to be happy and healthy, take the time to choose a high-quality diet for him that meets his unique nutritional needs. What Are the Top 5 Best Dog Foods for Pekingese Dogs? How Much Should You Feed Your Pekingese? Pekingese dogs are a toy breed which means they remain very small. Even so, small dogs like these have high energy needs due to their fast metabolisms. In fact, toy breeds like this may need as much as 30 or more calories per pound of bodyweight. What do you look for when shopping for the best Pekingese dog food? Caloric requirements. An adult Pekingese only needs between 300 and 400 calories a day, but that means he could be consuming more than 30 calories per pound of bodyweight. This breed is not particularly active, but they still have a fast metabolism. Dry food. 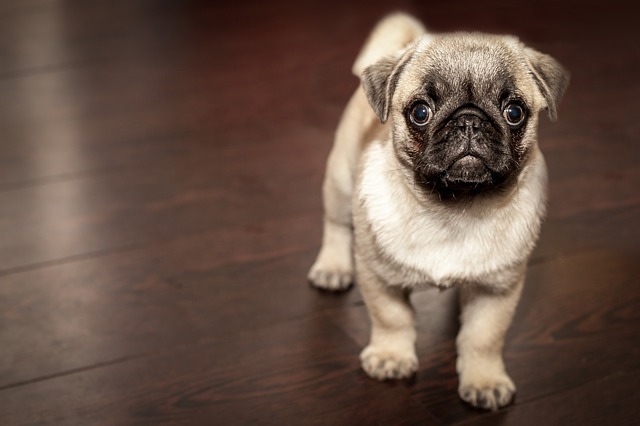 Toy breeds – particularly brachycephalic breeds – are highly prone to dental issues so it is best to feed your Pekingese a dry food that will help keep his teeth free of tartar buildup. Quality ingredients. A healthy diet of wholesome ingredients is important for your Pekingese’s overall health but will also contribute to his dental health and the health of his skin and coat. Digestibility. Because your dog isn’t going to be eating a large volume of food, the quality of that food is important. Choose a dog food made with easily digestible ingredients to ensure that your Pekingese absorbs the maximum nutritional content possible. As long as you keep these things in mind, you should do well when picking out the best dog food for your Pekingese. The best dog foods for Pekingese dogs will be made with healthy, high-quality ingredients in a calorie- and nutrient-dense formula that is easy to digest. 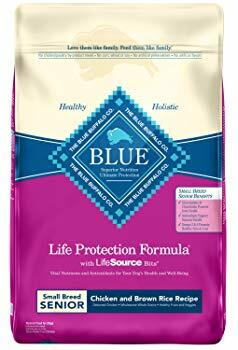 This Blue Buffalo Life Protection Toy Breed Adult recipe is specially formulated for toy breeds and it is made with healthy, high-quality ingredients. Deboned chicken is the main ingredient and a highly valuable source of animal protein with brown rice and oatmeal for digestible carbohydrates. This recipe features nutrient-rich chicken fat for energy and it contains plenty of fiber for healthy digestion. Growing puppies need plenty of high-quality protein and healthy fats to support their growth and development. 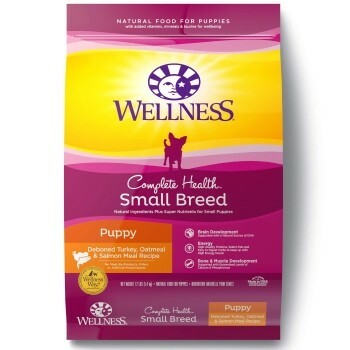 This Wellness Complete Health Small Breed Puppy Recipe is a great choice for your Pekingese because it is rich in animal proteins like turkey and salmon with digestible carbohydrates like oatmeal and brown rice. This formula is supplemented with DHA for brain health and has guaranteed levels of calcium and phosphorus for strong bones and teeth. As your Pekingese gets older, he will start to slow down and his nutritional needs will change. 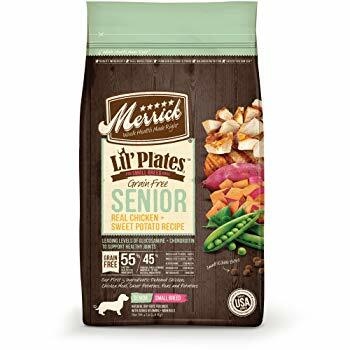 This Merrick Lil’ Plates Small Breed Grain-Free Senior Recipe is a great choice because it is still highly digestible and made with high-quality ingredients, but it is supplemented with prebiotics and probiotics to support your aging dog’s digestion as well as glucosamine and chondroitin for joint support. Plus, it is lower in calories and fat, compared to the traditional adult recipe. 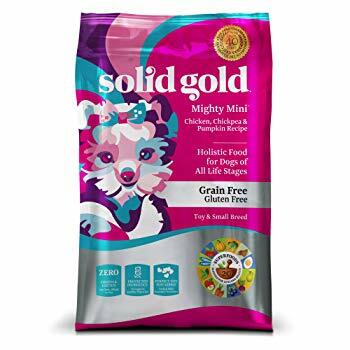 Priced under $10 for a 4-pound bag, this Solid Gold Toy & Small Breed Mighty Mini Dog Food is an excellent choice for your Pekingese. It is a holistic recipe, which means that it is made with only the finest ingredients and designed to nourish your dog’s body from the inside out. This gluten-free and grain-free formula features fresh chicken and chicken meal, with digestible carbohydrates like chickpeas and peas. Plus, it comes in a smaller kibble size and is designed for digestibility. If you’re concerned that your Pekingese has food allergies or a sensitive stomach, choose a limited ingredient diet made with novel proteins and carbohydrates. 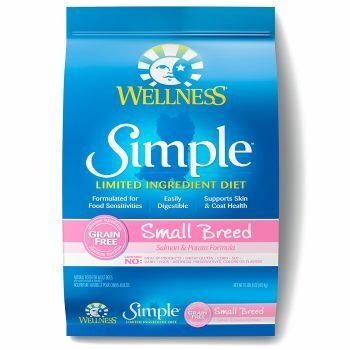 This Wellness Simple Small Breed Salmon & Potato Formula is a great option because it is grain-free and made with a small number of high-quality ingredients. It features protein-rich salmon and salmon meal with digestible grain-free carbohydrates, healthy fats, and probiotics for digestive support. Just because we’ve chosen these five dog foods as our top 5 picks for the best dog food for Pekingese doesn’t mean you absolutely have to choose one of them. Keep reading to learn more about the nutritional needs of the Pekingese breed, so you can make a smart choice if you decide to go with another brand of dog food. Your Pekingese needs a high-quality dog food that will provide the right blend of protein, fat, and carbohydrates. He needs animal-based protein and healthy animal-based fats with a moderate amount of digestible carbohydrates. Look for a recipe that provides up to 5% dietary fiber to ensure healthy digestion but make sure it doesn’t get much more higher than that. Keep in mind that Pekingese dogs are not highly active, but they do have fast metabolisms, so you’ll need to feed them a toy- or small-breed specific dog food to meet those needs. These formulas also tend to come in smaller kibble sizes which are ideal for small breeds like the Pekingese. In addition to making sure the dog food you choose meets your Pekingese dog’s nutritional needs, you should consider some special dietary requirements. Your Pekingese’s dental health is particularly important. 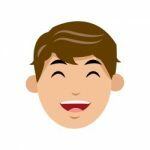 Because of his small size and shortened facial structure, his teeth may be more crowded than usual – choose a dry food that is formulated for dental health and consider giving your dog some teeth-cleaning toys and treats as well. When it comes to choosing the ingredients in your Pekingese dog’s food, make sure they are high-quality, animal-based ingredients. Your Pekingese dog’s nutritional needs will vary slightly as he matures from a puppy into an adult and then a senior dog. Puppies need at least 8% fat and 22% protein in their diet and should be fed 3 to 4 times daily. Adult dogs need roughly 300 to 400 calories per day with at least 5% of their diet from fat and a minimum of 18% from protein – feed two or three meals per day. Senior dogs should be fed a protein-rich, moderate-calorie diet in two small meals a day. No matter what age your Pekingese is, you need to keep a close eye on his body weight and health condition. If you feel like he is gaining weight too quickly or if he becomes obese, you’ll need to reduce his daily portion or switch to a lower fat and calorie diet. If he is underweight or becomes lethargic, he may need more food. 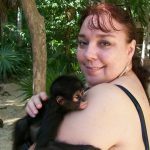 Talk to your veterinarian if you aren’t sure about your dog’s condition. As a toy breed, gaining even an extra pound or two can be dangerous for your Pekingese – it doesn’t take much for him to become obese. It is very important that you choose a high-quality commercial diet for your dog and don’t stray from it too far. You can feed him treats occasionally (especially during training) but try to limit the number of table scraps you give him. Not only are people foods high in calorie content compared to dogs’ requirements, but they can also trigger food allergies or sensitivities. 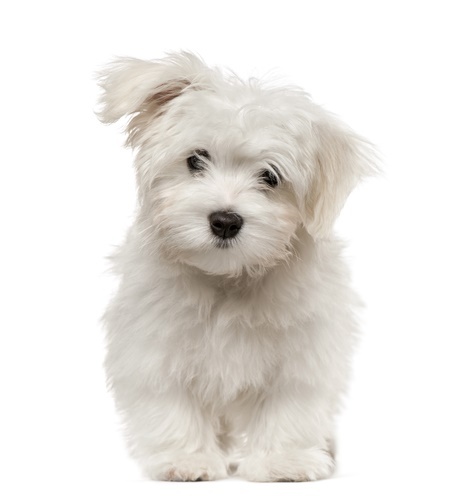 All dogs have the potential to develop food allergies and sensitivities. 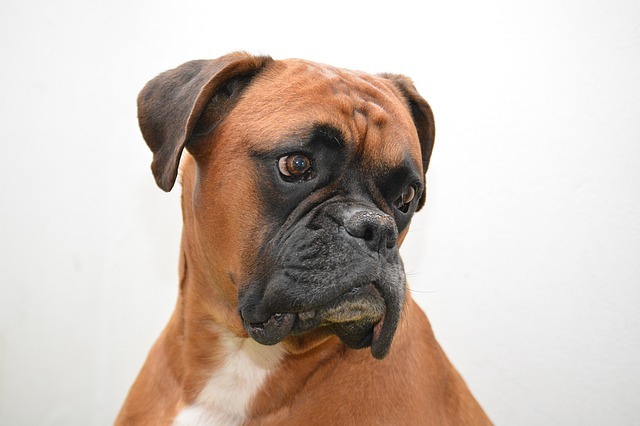 Though some dogs develop gastrointestinal symptoms like loose stools or gas, most food allergies cause skin problems such as itchy skin and recurrent ear infections. If your dog develops these problems, talk to your veterinarian to rule out underlying causes and then switch your dog to a hypoallergenic diet. The Pekingese is a regal and prideful breed that deserves respect. One way to show your dog that respect is to take his nutritional needs seriously. Pekingese dogs need a calorie- and nutrient-dense diet made up of high-quality ingredients that will provide for his nutritional requirements without going overboard on calories or fat. Take what you’ve learned here and put it to use in shopping for the best dog food for Pekingese dogs.